The City of Freeport Public Works Dept. has a paid summer intern position available for a college Junior or Senior, working toward a degree in Civil Engineering. This 2019 summer internship program will expose you to the many different services that our community has to offer. Reporting to the Director of Public Works, you will be exposed to roadway construction inspection, topographic surveying and drafting, ADA compliance surveying, and more. Hours of work will be 7 a.m. to 4 p.m., Monday through Friday, beginning late May through mid to late August. In order to be considered for this internship, applicants must be a college Junior or Senior, pursuing a degree in Civil Engineering or Construction Management, hold a valid driver’s license and have dependable transportation. Applicants must have strong written, verbal, computer and organizational skills. MicroStation and GIS data collection are a plus. Previous internships or experience with municipal roadway construction, or surveying experience is beneficial. Compensation will be $15.00 per hour. 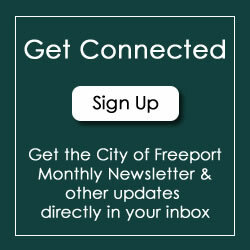 Resumes should be emailed to dmilliman@cityoffreeport.org.